Did you know that customer surveys can actually damage customer relationships? 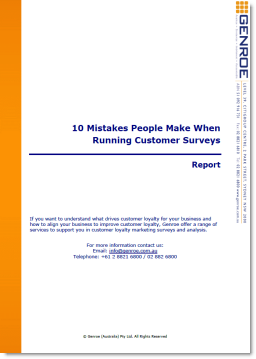 This report outlines the top ten mistakes that companies make when running customer surveys so you can avoid them. How often you should survey your customers. How to interpret your results. Why asking your customers “what is important to you” is bound to fail.